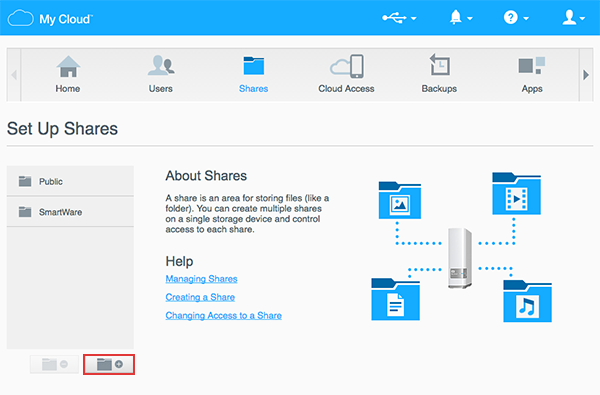 A Share is an area on the My Cloud device for storing files. The device will allow multiple users access to a Share and the ability to provide different levels of access for those users. Screen Shots may vary depending on the version of the My Cloud device. 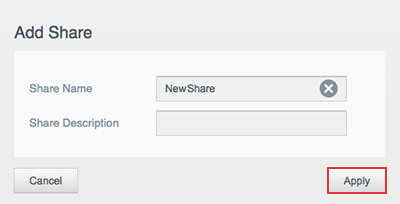 From the main page of the My Cloud Dashboard, click the Shares button of the Navigation bar. 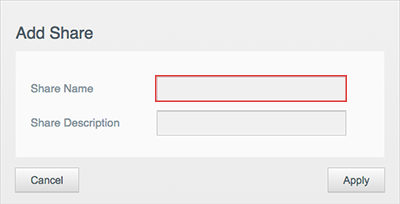 For assistance accessing the Dashboard, please see Answer ID 13965: How to access the Dashboard on a My Cloud device. 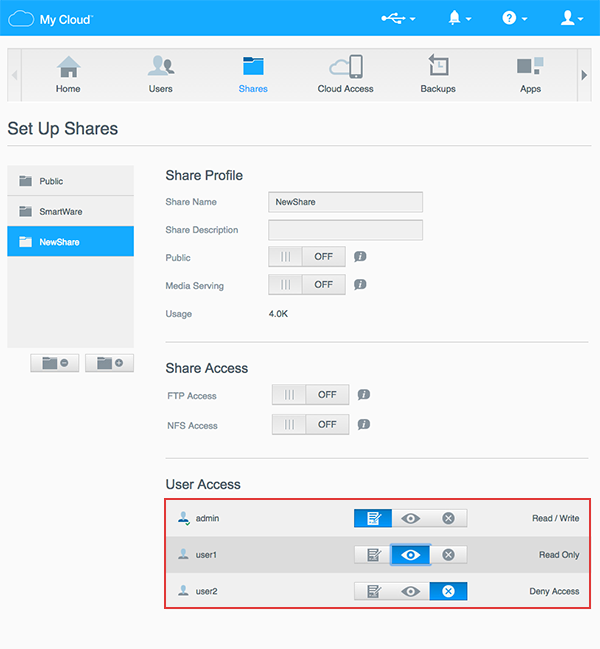 Read Only: Users with this permission level will be able to view, open and copy files and folders within a specific share. 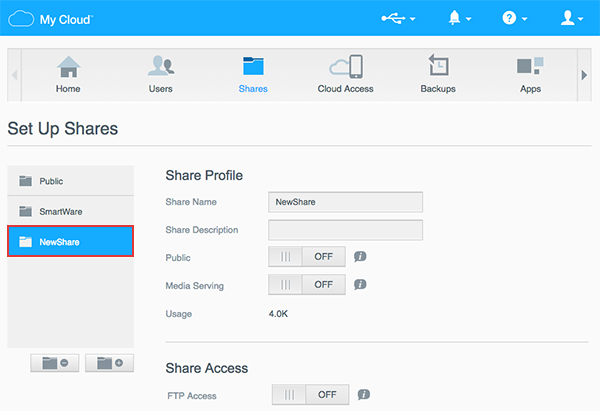 Critical: Deleting a Share will erase all files and folders on the share. 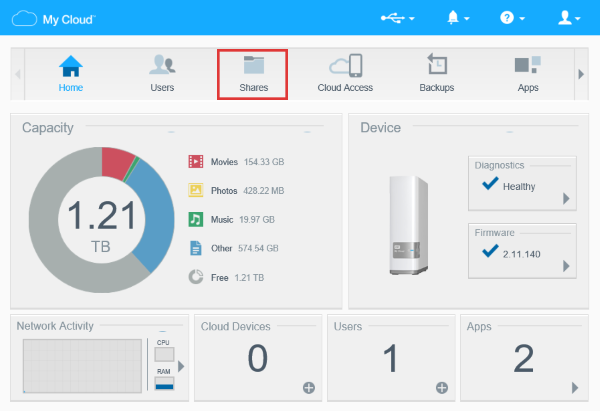 This process is Data Destructive and cannot be undone. 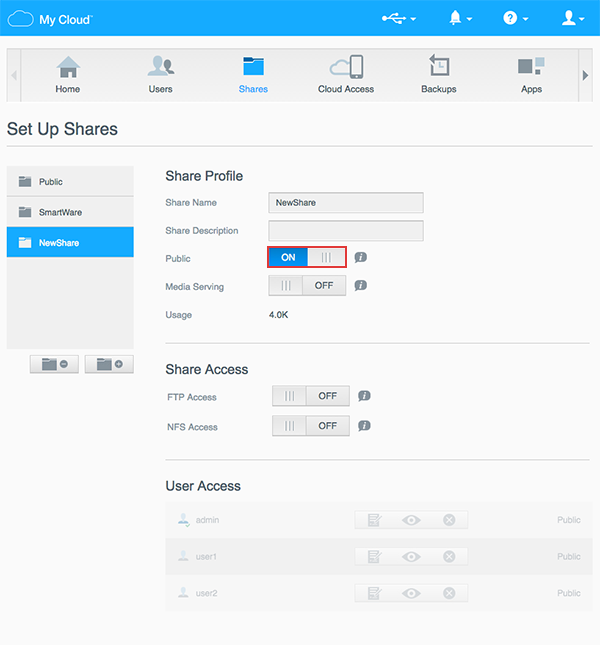 Once the Share is deleted, ALL DATA ON THE SHARE WILL BE LOST.